Over the last 8 years, 150,000 investors have lent over $26 Billion in personal loans through the peer to peer LendingClub platfrom. On average, investors in the top grade loans earned 5-7% annualized with strong cash flow. Some investors have seen even greater returns. However, peer to peer lending can be risky because you are lending money to strangers online - and that's where the platform comes in. You want to ensure you can do your due diligence before lending anything to anyone. Now that you know a little about LendingClub, let's dive in and look at it some more. Is LendingClub investing for you? Here’s what we found out. 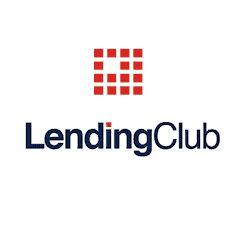 Check out Lending Club here. LendingClub is one of the first online Peer to Peer lending platforms. In the past, borrowers who couldn’t get a personal loan from a bank would have to bug friends and family until they funded a project. Today, LendingClub and other P2P lenders streamline the process. Cousin Bob doesn’t have to hit you up for cash. He can apply for the loan online, and LendingClub investors can fund the loan. 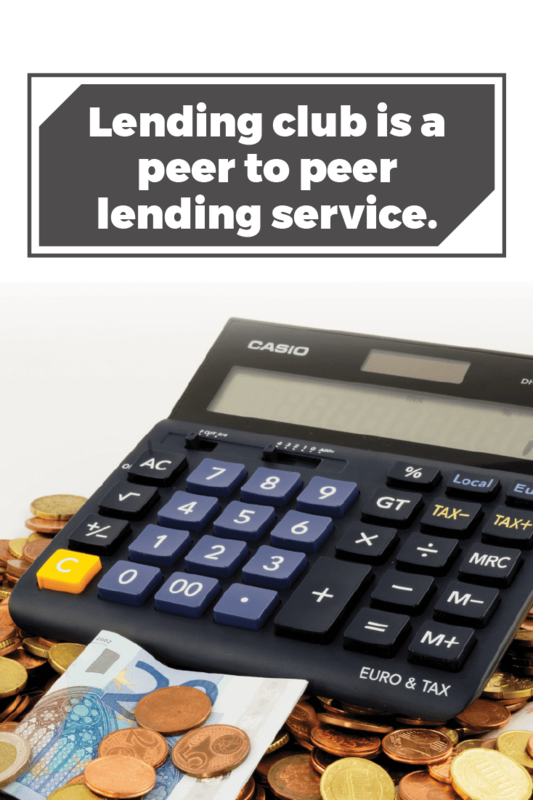 Peer to peer lending allows individuals to invest in consumer credit. By cutting out the bank, investors earn “bank like returns” with “bank like risk.” You don’t have to pay for fancy salaries and brick and mortar locations. As an added bonus, LendingClub allows you to invest as little as $25 per note. That means it’s easy to spread your risk across dozens or even hundreds of loans. At first glance, LendingClub looks easy. Using the simple online platform, you open an account, fund it from your bank account and start investing in notes. In reality, it’s not quite so easy. First, you need to meet some strict investor requirements. Net Worth Requirements: Must have a net worth (exclusive of your home value) of $70,000 ($85,000 in California). People with a $250,000 net worth do not have to abide by the income requirements ($200,000 in California). If you meet those requirements, you can start investing. Investors need to decide between manual investing and automated investing. Expert LendingClub investors recommend starting with a pre-selected option from LendingClub. That ensures that you’ll maximize your diversification while lowering your expected risk of default. When you’re first getting started on LendingClub, you probably won’t pay any fees. LendingClub has a minimum IRA investment of $5,500, but no annual fees after that. As cash from your investments start to roll in, you’ll start to see LendingClub’s fees. They charge a 1% fee on every payment you receive. If you invest in a loan that defaults, they take up to 35% of the amount recovered if no litigation is involved. They don’t charge fees if they don’t recover money. One thing that differentiates LendingClub from some other online platforms is the opportunity for liquidity. Investors can sell notes in a secondary market. The secondary market isn’t particularly robust, and mostly includes sellers looking to unload underperforming loans. You should note, the IRS taxes LendingClub as ordinary income. That makes it an unfavorable investment from a tax perspective (unless you have it in an IRA). Most people who are first getting started on LendingClub will benefit from playing around on the platform before investing. You can investigate individual loans, filter based on certain criteria, and manually invest your money in loans. It’s considered best practice to invest just $25 per loan amount. Once you select your loans, LendingClub will help you evaluate the risk on your portfolio of loans. They will even provide a projected rate of returns based off of history. As you start to become more comfortable with the investing process, you can start to create filters that will help you automate your investments. You can choose only the loans that fit your risk profile, but you can invest your money automatically. LendingClub is an excellent way to invest in the consumer credit markets. However, it should supplement, not replace a stock market or real estate investment strategy. If you invest using LendingClub, it would seem prudent to reduce your bond holdings and your holdings in the banking sector. It’s also important to remember that the LendingClub loans will follow trends in the broader consumer credit market. Recently, most loans are approaching all time lows with delinquencies. Some analysts expect delinquency rates to start to rise if employment or wage stability starts to fall. As an investor in LendingClub, you have to track those trends on your own. An imprudent investor could lose a lot of money if they risk too much, too early on. Overall, diversifying into consumer credit seems like a solid move for people who need more income producing assets in their portfolio. It’s not without risk, but the LendingClub platform is one of the best in the market today. Have you tried peer-to-peer lending or would you ever consider it? Why or why not? Lending Club is the most popular peer-to-peer lender and it was one of the first to start this investing trend. It has great deal flow, decent fees, and investors get a lot of information to do proper due diligence.